I am in love with two elderly collectors! 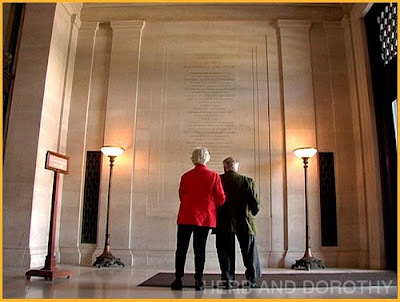 I’m talking about Herb and Dorothy Vogel, subjects of a touching and inspiring documentary, Herb & Dorothy, by Megumi Sasaki. A postal worker and librarian respectively, now both retired, they spent every free moment looking at art and every spare dollar buying it. 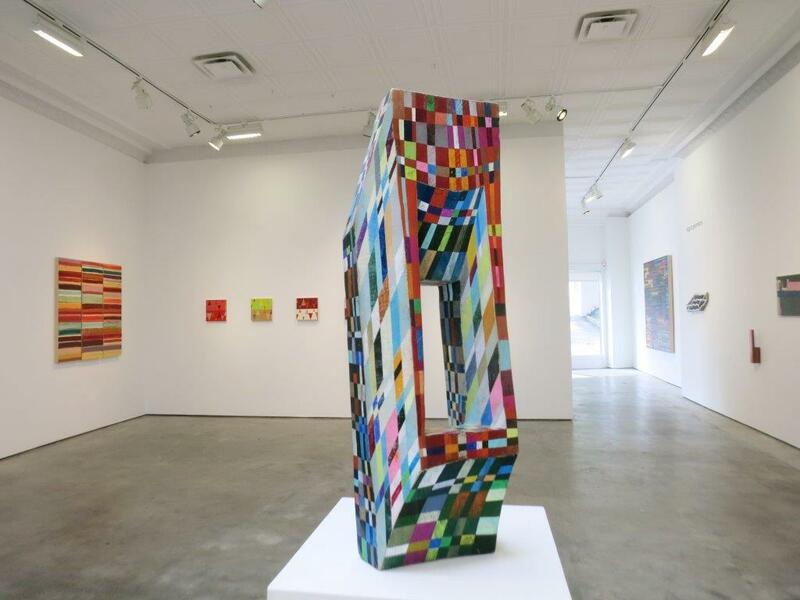 Focusing on unknown artists at the beginning of their careers, the Vogels amassed on a shoestring a world-class collection of Minimal and Conceptual Art that is a snapshot of the New York art world in the 60s and 70s. Their criteria: “It had to be affordable and it had to fit into the apartment,” says Dorothy in the film. 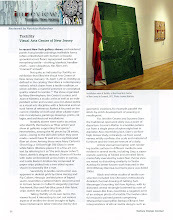 Recently they donated their collection to the National Gallery of Art in Washington, D.C. It went intact, some 4000-plus works. The Vogels had a pretty good eye. 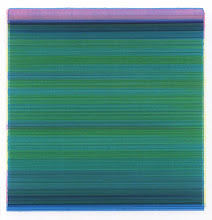 The “unknowns” turned out to be the likes of Eva Hesse, Lynda Benglis, Richard Tuttle, Robert and Sylvia Plimack Mangold, Chuck Close, Donald Judd, Christo and Jeanne Claude, and Pat Steir—many of whom pay homage to the Vogels in the film, some quite humorously. Those are the facts. But it is the story of the Vogels themselves—told through interviews, photographs, archival footage of them traipsing through SoHo, and of more current scenes of them with the artists—that is the heart and soul of this film. To tell you more is to take away the pleasure of seeing that story unfold. I have two suggestions: Go see the movie. 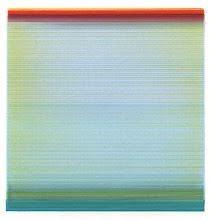 Start buying art. 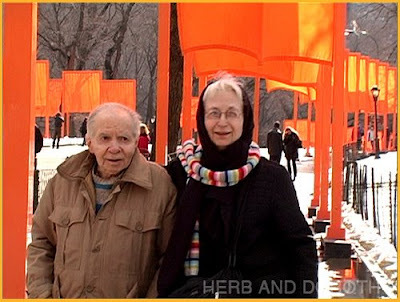 Below: The collectors in Central Park a couple of years ago at the opening of the Christo and Jeanne Claude installation, The Gates. This is great, Joanne. Really inspiring to think that "ordinary" people can become collectors given the desire and interest. It makes me wonder why I haven't collected more myself. I can't wait to see the movie. 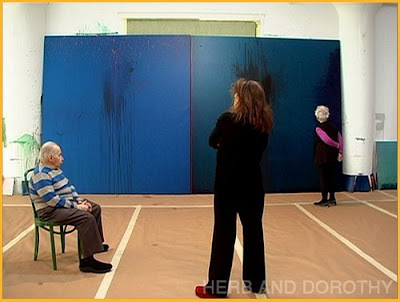 I saw Dorothy & Herb in a documentary on Richard Tuttle. What wonderful, unassuming people. Dedicated to art and each other. I look forward to seeing the movie. 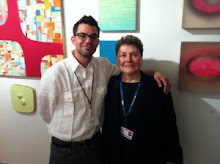 At Miami Art Museum in March, I had the pleasure of attending Richard Tuttle's lecture, a tribute to the Vogels. He spoke of his relationship with them, and of their enduring passion for art. It was moving. What rare people- an inspiration for the art world. true collectors! following their heart and their passion. everytime i read about them, I smile, and it makes me want to go buy some unknown art. I first saw the Vogels on 60 minutes years ago. 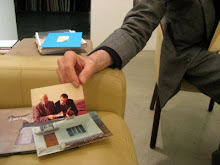 It was so interesting to hear about people who purchased art just for the love of it and the joy of collecting. I remember Christo and Jeanne Claude talking about the phone call they received from the Vogels and how they thought now they were made, until they met them. They were not the wealthy collectors artists are hoping for when they are wondering how they will pay their bills. 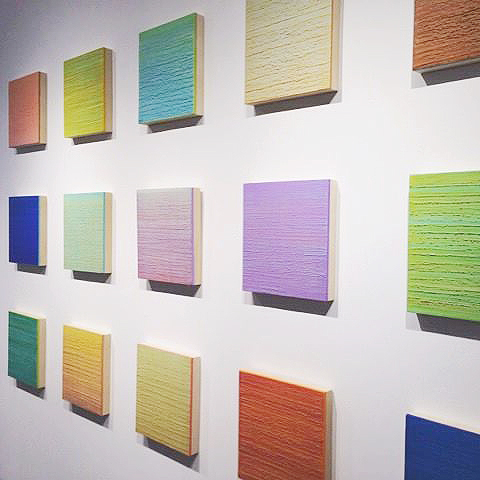 It was the first time I thought art is for everyone. 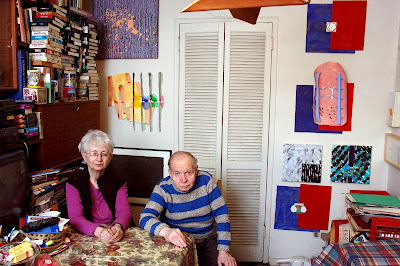 How come this rich old art collecting couple are on EVERY art blog ever written? Do they get a dollar every time they are mentioned cause if they do they can afford another Picasso. Peace.